Helloooooo comfort food! 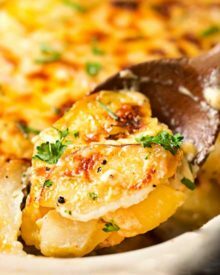 This is a family favorite and a greatly customize-able recipe. You could easily use any leftover chicken you have from another meal, or add your own spices, sauces, veggies etc. For example, you could toss your chicken in a little bit of barbecue sauce for a different flavor, or add some fresh herbs… the sky is the limit!! 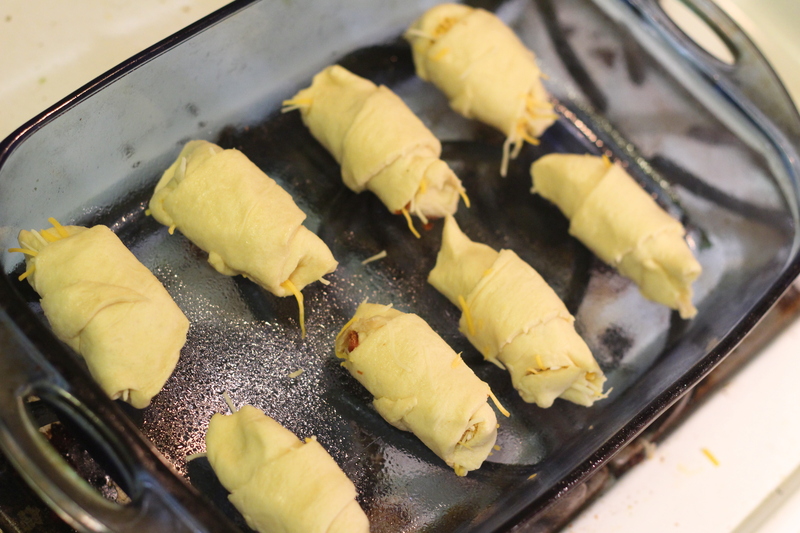 Then just roll them up like a normal crescent roll, making sure to seal the edges so all your filling doesn’t fall out when it’s baking. 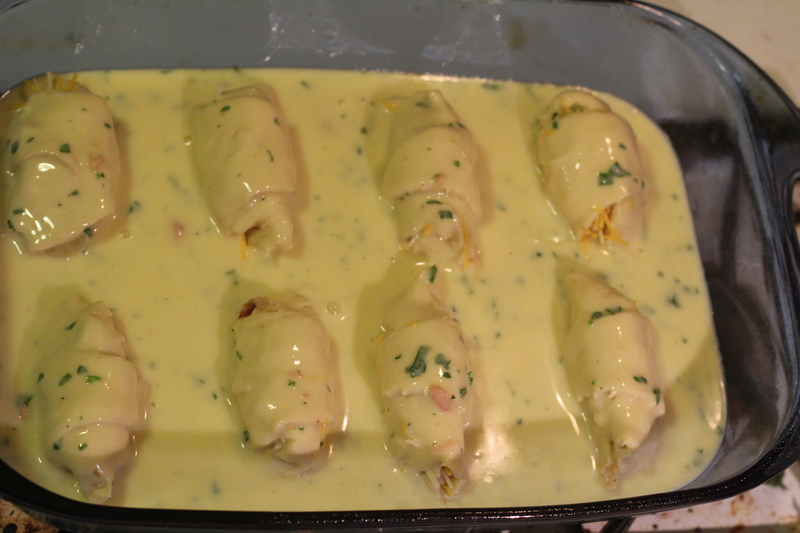 Place the crescents in a 9×13 baking dish that has been lightly sprayed with cooking spray. As you can see, I didn’t get them all the way sealed up… bad Amanda! My husband loves broccoli rice casserole, so I thought I’d do a little cupcake version of it… cute little cupcakes make little picky children want to eat them 🙂 I like that the recipe uses minute rice and chopped frozen broccoli, because it makes it come together in practically no time. 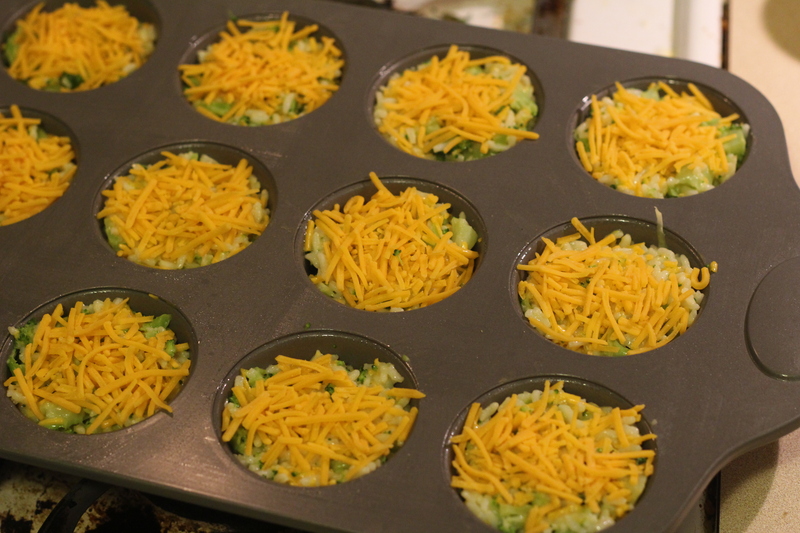 Mix your cooked rice, thawed broccoli, 2 eggs, some ranch dressing and cheddar cheese, then put into a greased muffin pan. 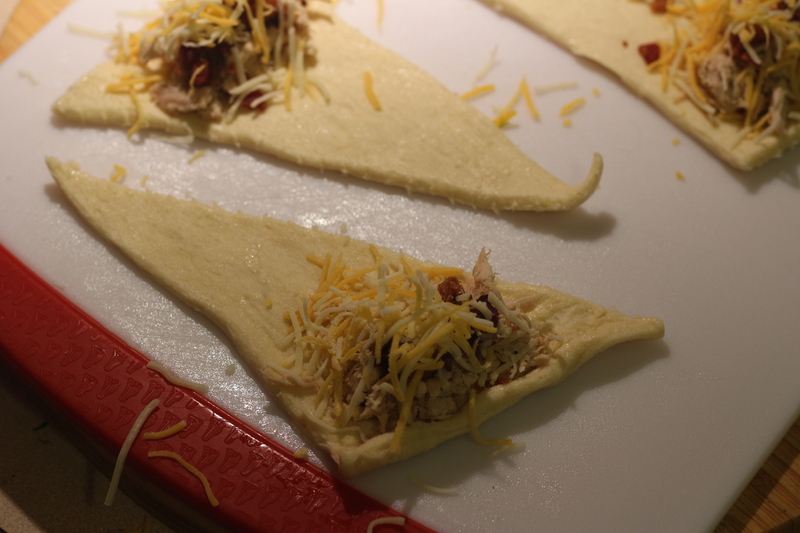 Okay, so maybe I added a bit more than a sprinkle… who doesn’t love a little extra cheese? 🙂 Bake them uncovered at 350 for 25 minutes or so, and they should easily slide out of the muffin cups. There's so many variations of this recipe, it's more of a method... then you can truly make it your own! 1 cup Cheese cheddar Colby jack, etc. Preheat your oven to 350 degrees. Mix soup with milk and spices and parsley. sides to hold the filling in. Place into a greased 13x9 baking dish. Pour soup mixture over the top of the rolls. 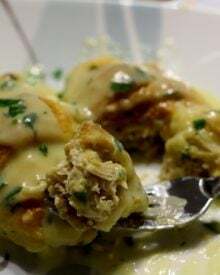 ** Change this up to meet your tastes... the basic recipe is crescent rolls, chicken, cheese, cream of chicken and milk. I added the additional seasonings, herbs and bacon bits. ** Don't have any leftover chicken? Don't fret. Either cook some any way and using any flavors you'd like, or pick up a rotisserie chicken from the store and shred it. Broccoli rice casserole is a favorite for many people, here's a fun way to change up such a classic dish! cup of the cheddar cheese. Stir well. should get 12. If you mound them up, you should get 8. « Previous PostDo you know what today is?!?!?! YUMMY!! I love the Muffin Rice Cups. I will make them and see if they freeze. Only cooking for two it would be great to be able to thaw them and pop them in the oven to reheat. I will let you now how they turn out. You’re welcome and thank you for commenting 🙂 I hope you enjoy them! Welcome to Fiesta Friday #41. You’ve brought two great ideas to the feast. 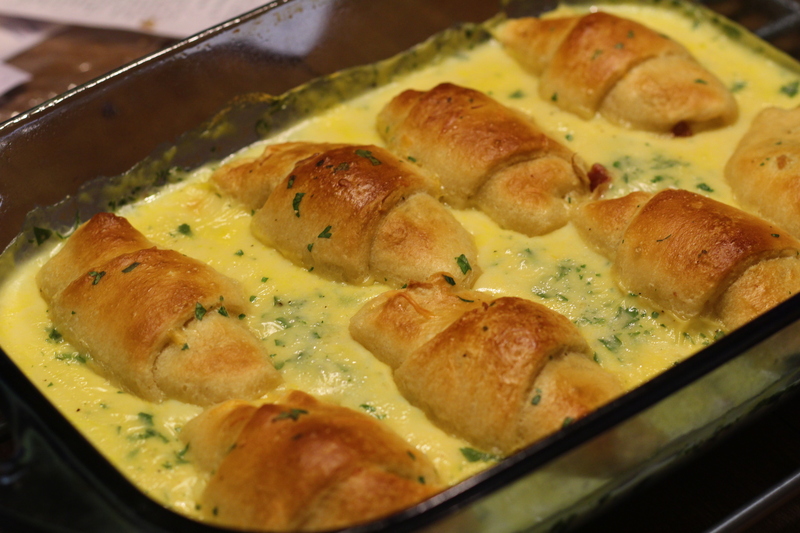 Love crescent rolls with anything, and yours definitely look amazing! 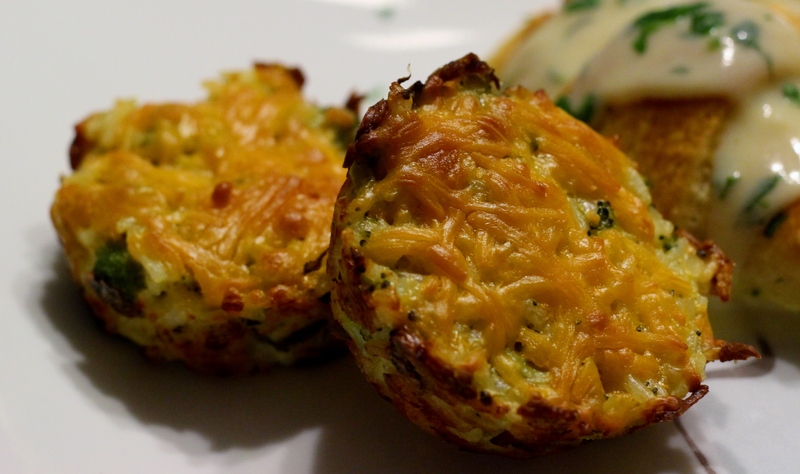 I do so love the broccoli rice cupcakes, what a neat idea, oh so clever! Enjoy your weekend. Another great post! Your dishes are right up my alley. Perfect dishes for every day or gorgeous for company. So glad you joined FF today. Aww thank you so much!! I love meals that can easily be dressed up for an event or casual for a family dinner 🙂 I’m very glad too, I joined way late in the game last week, so I really wanted to be ready for the start of this week’s! Wow…two fabulous dishes in one post…and both mouth watering delicious too! Thanks so much for sharing both of these recipes with the gang at Fiesta Friday. 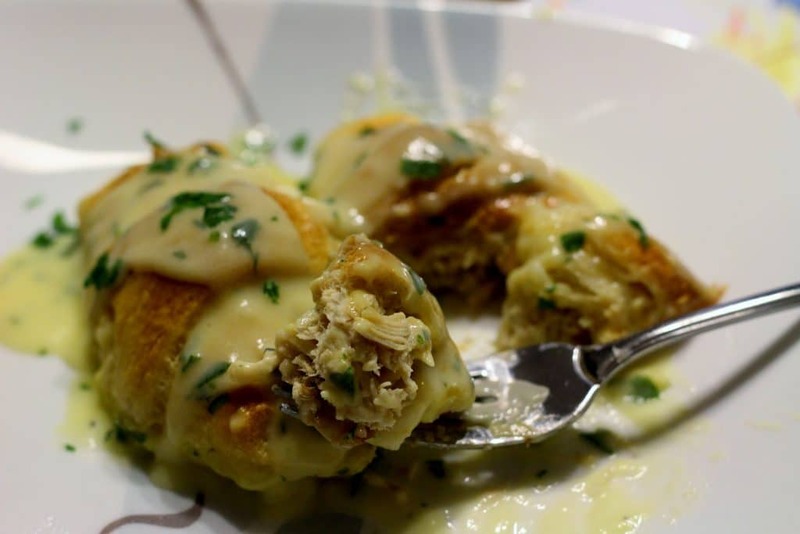 The chicken in crescent rolls has always been a favorite in my home…and I love your take on them! 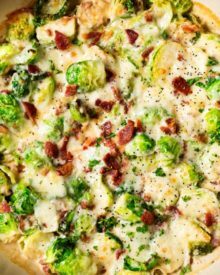 Love the individual serving sized portions you’ve created with the broccoli rice dish too…they look so delicious with all of that ooey, gooey cheese! Thank you! 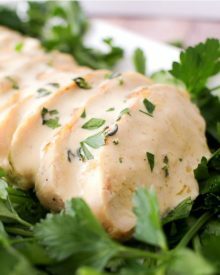 It was definitely a hit all the way across the board, thank you for posting the recipe… it was a great find! 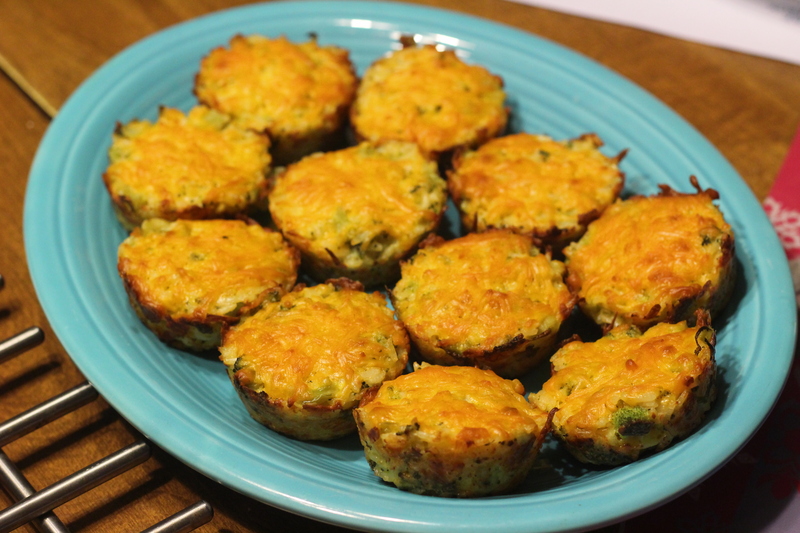 So glad you enjoyed the broccoli cheddar rice cups…everything looks delicious! Other than making me hungry every morning, I really enjoy these. And the broccoli rice cupcakes? Awesome twist on an old favorite.